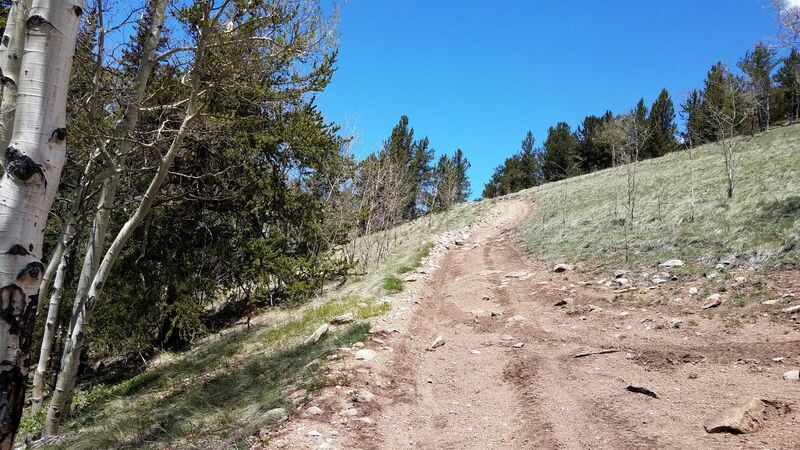 With its grassy hillsides, this off-road trail offers a different type of scenery than most of the trails within the Empire Loop. The Empire Loop is a network of trails just above the historic town of Empire. The area offers amazing alpine scenery and all types of off-road trails. This particular trail is good to combine when doing Bill Moore, Red Elephant, and Mill Creek. Take the lower road at the Y. Want to see 4 more waypoints? Become an All-Access member! Follow Bill Moore Trail to Waypoint 10. Todd is an avid wheeler who loves to explore new trails whenever and wherever he can. They say necessity is the mother of all invention and that holds true for Todd. His want and desire to find passable trails and new nooks and crannies of the Great American West to explore were his reasons behind starting Trailsoffroad.com. On any given weekend you can find Todd on some obscure 4x4 trail or using his legs to hike to an alpine lake. This trail has become inaccessible due to snow. Depending on the winter, plan for an early to mid-July to where it feasible to drive again. Snow has fallen in the high country and making this trail impassable. Miller Creek is open and clear. The campsites are also clear of snow. It was a beautiful day.